Yes there are picaresque to avoid being fined for fixed and mobile radars, how will not having on the side of authority. 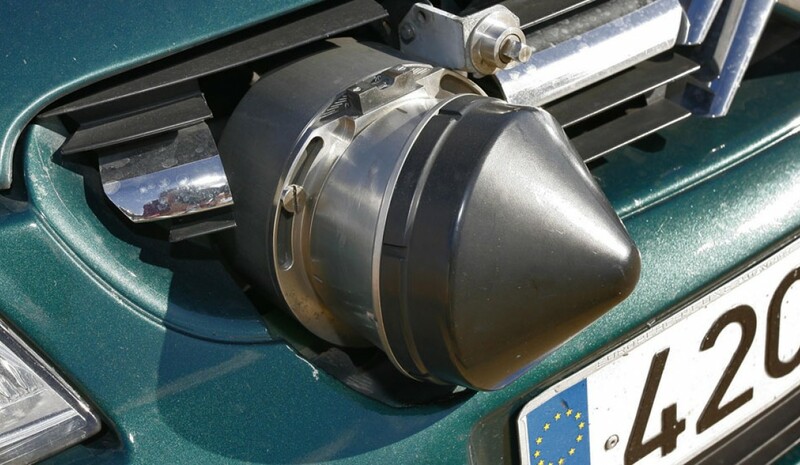 This follows an application lodged on 21 May by the Unified Association of Civil Guards Huelva (AUGC-Huelva) in which it is alleged that some civil guard to prevent citizens can sense the presence of the mobile radar vehicle, puts off the road with the hood up, simulating a fault. This radar has been located in multiple locations in the province of Huelva and even he has 'cheated' to other colleagues who stopped to help him, thinking it was a disabled vehicle. Apparently, This practice is prohibited verbally by the Head Captain Subsector. However, the rules of the Association are clear about in his title 8 Radar and work your way up, he says the speed control must be authorized by the provincial traffic, whenever possible signaling panels were activated va-riable in places that are installed or alphanumeric templates employ not less than one km away, taking into account the infrastructure of the road. "Under no circumstances will be placed hidden vehicles. This does not prevent parking so they can go unnoticed as committed themselves control the radar. " According to AUGC-Huelva "the tax collection effort is more than evident, and we believe that this practice, It is unethical, nor dignified and It is done to denounce the more Qua driversr, in breach of the internal regulations of the Traffic and direct orders from the command of Subsector. " Mobile radars do they distinguish the type of vehicle to fine?